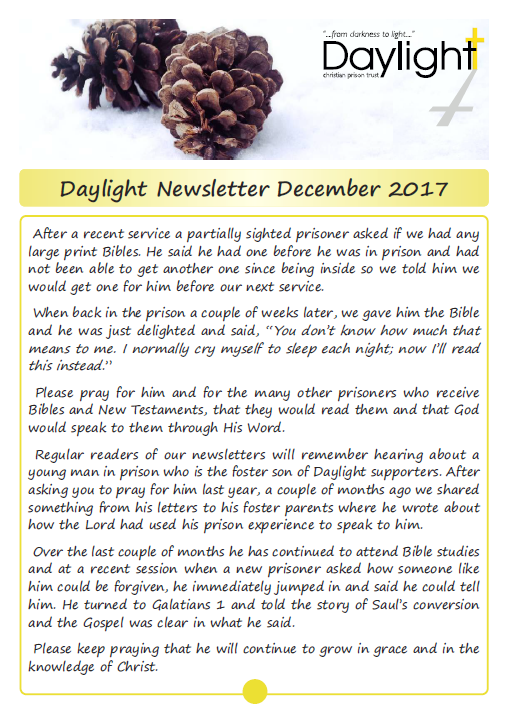 Below is our December Newsletter. As we come to the end of another year, we can again look back and thank God for His continued goodness and faithfulness to us. 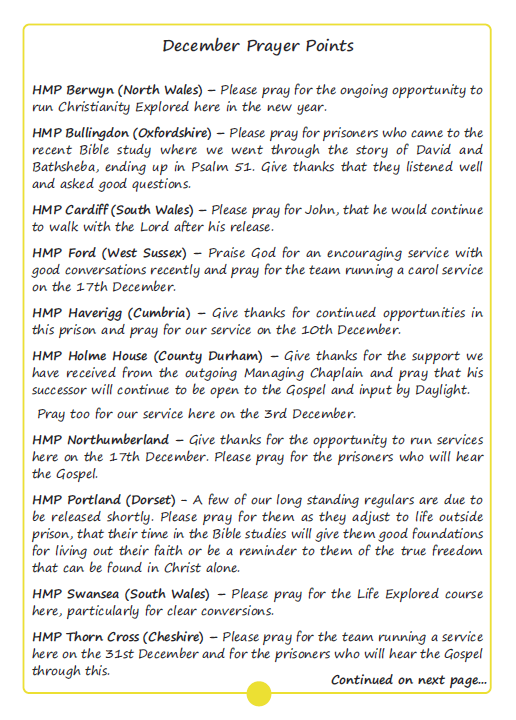 Prisoners have been reached with the Gospel throughout the year through our services, Bible studies and courses and we have been encouraged by the responses to these, both from prisoners and prison staff. 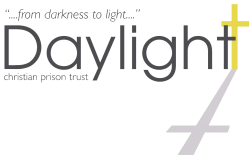 We have been reminded again this year that our activities in prisons are important not only to share the Gospel with those are unsaved but also to encourage and build up prisoners who are believers and it has been a joy for us to see some prisoners who have professed faith growing and progressing as they learn from God’s Word and then to see them sharing their faith with others. 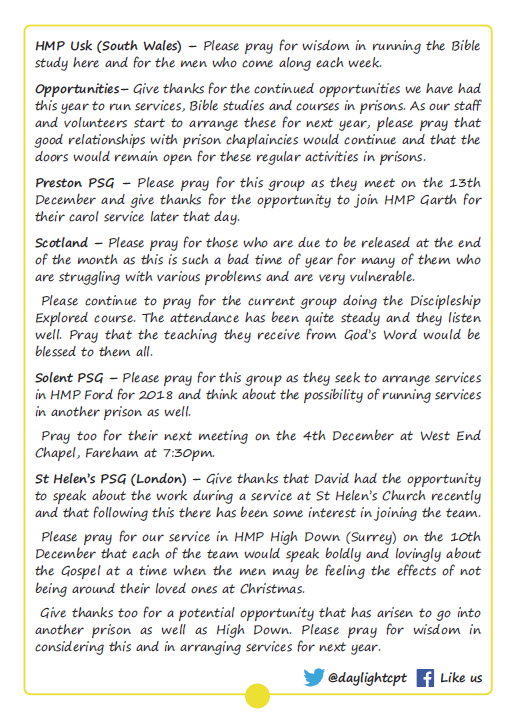 We are thankful for a number of new opportunities that have been given to us this year and particularly for new Prayer & Support Groups who are now meeting regularly to pray for the work. New opportunities do not come without their challenges but we give thanks that the Lord has continued to provide the needed resources, both workers and finance. Thank you to all of you who were praying for our conference at the beginning of November. The Lord answered prayer and we are thankful that a good number came along, some of whom were new to the work. A report and photos from the day are available at http://bit.ly/2jrSxwD. Prisoners often find it difficult being away from their families, but this time of year can be especially hard for them. Please pray that our services and Bible studies over the holiday time will be a help to them and that they will be challenged as they hear the message of Jesus coming to save His people from their sins. Thank you for your continued support during 2017.